This fascinating and often hilarious type of entertainment is great for parties of all types - corporate events, retirement parties, engagement parties and more! Choose a New York hypnotist from this list to come to your party and mesmerize volunteers! A Hypnotists Who Can Make Your Party Fun! 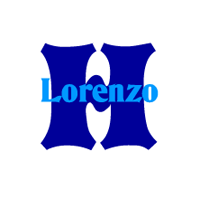 Let Hypno Lorenzo provide his services in entertaining your guests at your New York event. A comedian who has the ability to hypnotize anyone at his will, Hypno Lorenzo will make sure that your celebration will be a spectacular event where everyone will be laughing and enjoying a great show. You will definitely enjoy a wonderful event when Hypno Lorenzo provides his entertainment. So contact Hypno Lorenzo's Comedy Hypnosis and let him provide the fun entertainment for your New York event. Have Mickey Sharkey Entertainment provide the fun entertainment for your special celebration. 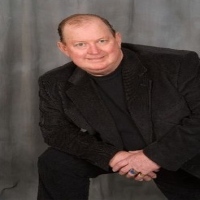 A great hypnotist and entertainer here in New York, Mickey Sharkey will make sure that your party will be a fun filled event where guests can participate in the program and will enjoy laughing. Mickey Sharkey hypnotizes volunteer guests and will transform them into something else and will leave everyone laughing. So have Mickey Sharkey Entertainment make your celebration a spectacular event. Book your reservations by contacting Mickey Sharkey today. Stage Hypnosis With John Cerbone The Trance-Master! Let John Cerbone The Trance-Master provide fun entertainment for your New York event. A master hypnotist of New York, John Cerbone offers an entertaining show where he will hypnotize volunteer guests from your party and turn them into something entertaining for everyone to enjoy. With John Cerbone The Trance-Master, you can expect that your event will be a fun and entertaining event that you won't soon forget. Contact John Cerbone The Trance-Master today and have him perform a great show where everyone will surely enjoy a wonderful show. Peter Juris Stage Hypnotist, Where Comedy Is Part Of The Show! Have Peter Juris Stage Hypnotist provide hilarious entertainment for your New York event. Whether it is a corporate event, birthday, or other special celebration, Peter Juris Stage Hypnotist can provide fun filled entertainment where guests will surely enjoy laughing. 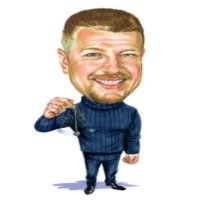 With Peter Juris you can expect that his hypnosis will be an entertaining show to see. So let Peter Juris Stage Hypnotist make your special event a worthwhile experience where everyone can enjoy great entertainment. 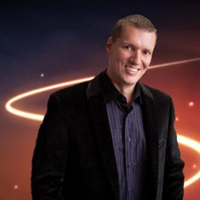 Contact Peter Juris Stage Hypnotist today and have him provide a great show. Make Your Celebration All The More Fun With Barbara Gambrill Stage Hypnotist! Let Barbara Gambrill Stage Hypnotist entertain your guests at your New York event. A great entertainer and a master hypnotist, Barbara Gambrill Stage Hypnotist offers to provide a show in which guests are part of the entertainment. Barbara Gambrill will hypnotize volunteer guests and turn them into something they are not, for everyone to enjoy. So have Barbara Gambrill Stage Hypnotist entertain your guests at your New York event and book your reservations today. Expect Great Entertainment From Jack Hirsh Comedy Hypnosis! Let Jack Hirsh Comedy Hypnosis provide spectacular entertainment for your New York event. Serving of New York and the Tri-state areas, Jack Hirsh offers an experience in which the entertainment revolves around hypnosis and fun comedy. With his unique ability, Jack Hirsh can hypnotize anyone at will and can transform them into something else. So have a wonderful celebration where everyone can have a great time. Book your reservations and contact Jack Hirsh Comedy Hypnosis today. A Night Of Fun And Entertainment With First Trance Comedy Hypnosis! Have First Trance Comedy Hypnosis make your event a fun filled celebration where comedy and hypnosis are part of the entertainment. 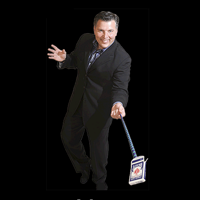 Headed by Bill Pettek, First Trance Comedy Hypnosis is the perfect choice in having entertainment for any occasion, whether it is a corporate event, birthday or any special celebration. So let First Trance Comedy Hypnosis provide great entertainment for your New York celebration. Book your reservations by visiting their website or contact them by phone. Great Entertainment From Marshal Manlove Comedy Hypnosis! 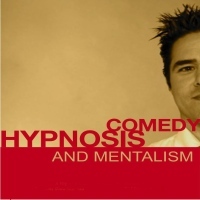 With Marshal Manlove Comedy Hypnosis you can expect great entertainment for your New York event. Marshal Manlove is an expert hypnotist that offers his services in providing his hypnotic abilities to entertain your guests. You can expect nothing but great entertainment where guests will enjoy a wonderful show and volunteers will be hypnotized and made the star of the show. So have Marshal Manlove Comedy Hypnosis provide a spectacular show at your New York event. Visit the website to learn more of Marshal Manlove and book your reservations today. Great Entertainment From Timand Productions! Let Tim Mower make your New York celebration a fun filled event where guests can participate in all the fun. Among the best comedy hypnotists around, Tim Mower has a unique ability in which he uses hypnosis to manipulate volunteer guests and transform them into something they are not. You will definitely enjoy a good laugh with Timand Productions and will have a successful event. So have Timand Productions entertain your New York event. Plan your reservations and contact Tim Mower through his website or by phone. John Cressman Entertainment, Where Everyone Will Have A Good Laugh! 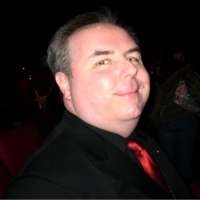 A comedy hypnotist who has a unique ability in transforming any individual into something they are not and making them the star of the show, John Cressman hypnotizes anyone at will and can provide great comedy entertainment for your New York event. With his skills and experience in performing at many events, John Cressman will make sure that your celebration will be a fun filled event where everyone can have a great time. So book your reservations and have John Cressman Entertainment make your event a spectacular event where everyone can have a great time.